Short Walks by Sue Ranford . Sue moved to the Langdon Hills area in 1997 and following her early retirement decided to explore the beauty of Langdon Hills. This led her writing about her walks in a local trade directory called the ‘Langdon Link’. Following suggestions from her friends Sue decided to produce a book on her walks. 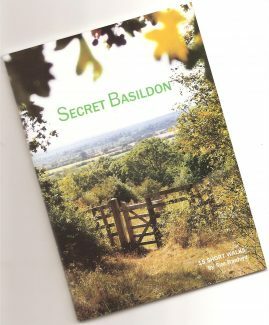 The book ‘Secret Basildon’ has 15 short walks, the longest being no more than two and half miles. The diagrams, sketches and photographs are all Sue’s work. In addition to her artistic talents she also plays the piano and has performed for BasOp and other operatic societies in the South Essex area. Following the success of her book she is working on others which eventually will cover most of South Essex. Bluebells and Orchids in Lincewood. This walk covers the wooded area west of Laindon High Road behind St Mary’s Church down to the Recreation Ground. There is a steep wooded bank and some uneven footpaths that curve and dip through the trees. There are no stiles, only gates but the ground can get very muddy and slippery and you may need to watch out for protruding roots and bricks in some places. 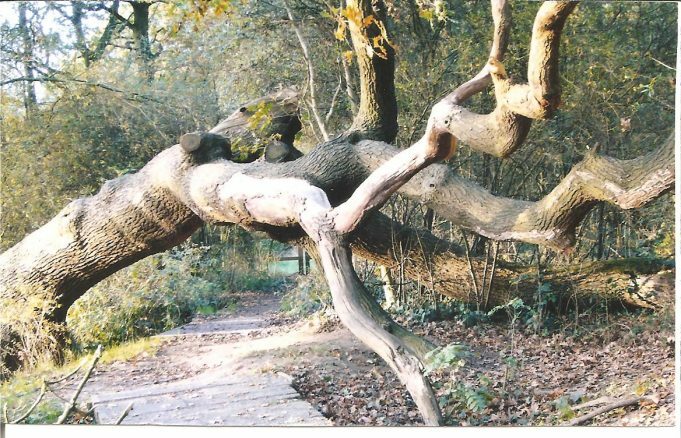 A fallen tree trunk stretches across a path but is quite easy to duck beneath! Lincewood used to be populated with a few plotland dwellings. You may notice clearings and gateways where the houses once stood. Drive along the Laindon High Road (B1007) until you reach the Harvester Crown pub near the top of Langdon Hills. Turn left immediately after the pub and drive down to the car park in Westley Heights Country Park . From the car park walk back to the main road and cross over to enter the field opposite. Follow footpath 172 over the meadow and down into the woods. At the bottom of the track go through the gate and over to the stile on your left. The view is amazing! Among a cluster of skyscrapers is Canary Wharf and the Elizabeth II bridge is visible to the left. 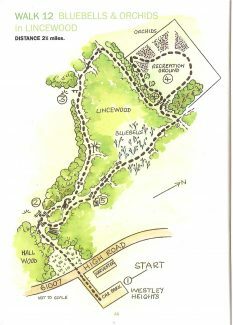 Retrace your steps taking the left fork at the large tree to enter the gate into Lincewood. Follow the path down to a pond, ducking under the fallen tree. Continue through the gate and up to an old twisty tree. Here take the left folk to join a path that dips and curves between the trees. Keep to the main path ahead past carpets of bluebells in the spring. As the path reaches the corner of the field on your left take a rest on the bench to enjoy the view. Return to the footpath taking the right fork at the next junction. Then turn left, then right over a crossing path. This leads to a gate where you turn right to follow the path as it curves left into the Recreation Ground. Turn left skirting the edge of the grounds. 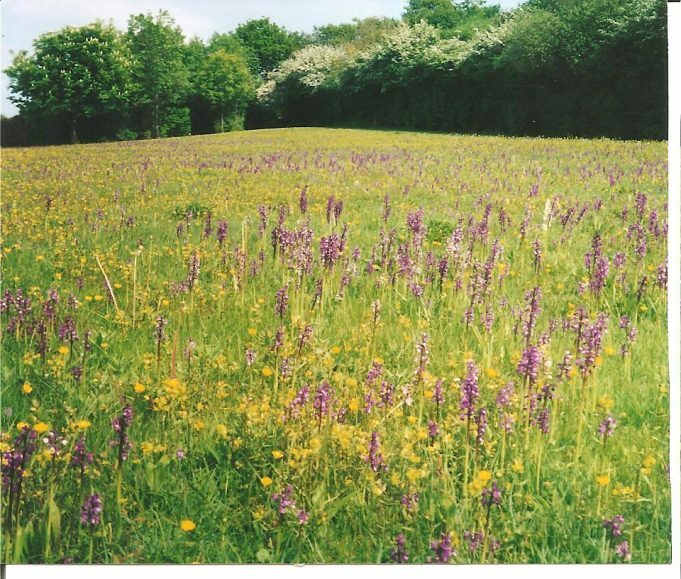 The far slopes are tinged with the purple of wild orchids in late spring. Once clear of the trees the meadow before you is alive with pinks and purples as the orchids jostle for space on the crowded slopes. Leave the Recreation Ground by the same gate turning left to reach a junction marked 2. Then turn right to walk among a haze of bluebells that stretches between the dark tree trunks. Follow the main path ignoring all side turnings and gates. Eventually you pass a post marked 3 and a set of steps on your left, then you meet a parallel path near the edge of the wood. Keep to your path as it goes up towards a bank of 4 log steps near post 4. Turn right between 2 markers, then go back through the gate on your left to enter Hall Wood. Climb the left path back to the meadow and over the road to the car park. This looks like a really interesting and beautifully produced book. Sue is obviously a very talented young lady and would she be interested in researching other areas?